Planning to visit a European country, which is a part of Schengen Area for a short period? Is your visiting purpose is tourism, study or business? Well, then you should apply for EU Schengen visa. What is EU Schengen visa? EU Schengen visa is designed to ease travelling between its 25 member nations, consisting of 22 European Union states and 3 non-EU members. With the introduction of EU Schengen visa, potential travellers can travel to any or all member countries on one visa, eliminating the necessity of obtaining an individual visa for each country. EU Schengen visa benefits individuals who wish to visit various European nations on the single trip. The visiting purpose of the EU Schengen visa applicants should be either tourism or business purpose. What are the Schengen Visa countries? The holder of EU Schengen visa can travel to Austria, Belgium, Czech Republic, Denmark, Estonia, Finland, France, Germany, Greece, Hungary, Iceland, Italy, Latvia, Lithuania, Luxembourg, Malta, Netherlands, Norway, Poland, Portugal, Slovakia, Slovenia, Spain, Sweden and Switzerland. What are the requirements of EU Schengen visa? How to apply for EU Schengen Visa? If an applicant is travelling to only one nation, then he/she must apply at the respective embassy of the country to obtain the EU Schengen Visa. If you are planning to visit more than one country, then you must apply at the embassy of the country in which you wish to stay for the longer period. If you plan to reside for an equal period in more than one nation, you need to apply for EU Schengen Visa at the country’s embassy, which is your first entry point. 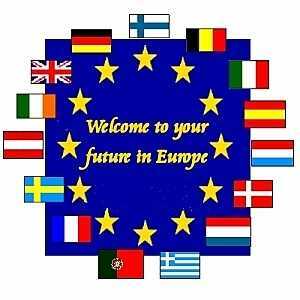 What are the features of EU Schengen Visa? Successful applicants of EU Schengen visa can reside within the Schengen zone for a maximum period of 90 days within six months.